Sustainability is a way of thinking and living that is rooted in connection. It goes beyond just caring for the environment. It begins with how we connect with ourselves and with others. One year at summer school, three classes combined to do a pot luck picnic in the park. I was so disheartened by the smorgasbord of plastic packaged junk food spread out over the picnic tables. What I noticed, however, was that without me saying anything, several of my students had sat close by, taken their shoes off just like me, and had begun to copy the way I joyfully wriggled my feet in the long grass. They had also by-passed the smorgasbord and were happily munching on my apples and a classmate’s homemade Sudanese mullah. That moment is forever stuck in my mind as a beautiful and shocking illustration of how children follow the emotional energy of examples more than words. Teaching was an occupation that forced me to ask deeper questions: How are my own beliefs and actions impacting others? What kind of world am I helping to pass on? I am not yet a mother, but I can only imagine the kinds of questions being a parent would initiate! As I found myself being more often approached for help by new teachers, my reply often started off with “You know what I think the problem with teacher training is…”. How does this relate to sustainability? Well, as I began to speak out more and more, I found out that it’s easy to get consensus that there is a problem. However, gathering people focused on driving change towards a solution is not always so easy. I started by writing an article for April’s issue of Teacher magazine. The article expresses my deep love for the school I taught at for years and my frustration at the things that have led to my need to leave teaching. It deals with what, in my view, are two important and yet overlooked issues of teacher effectiveness: all learning is rooted in emotion and as a teacher (or leader of any kind – be it of a family or a company) you are only as effective as your willingness to lead by example and continually work on your own emotional intelligence. Last week, I was a guest lecturer at the University of British Columbia’s Faculty of Education. The topic? Teacher effectiveness and emotional intelligence. Turns out once you connect to your core values and beliefs it’s easier than you might think to speak up in all kinds of ways and be part of the solution! It’s for that reason that I am truly excited to be part of this community of people focused on sustainability. 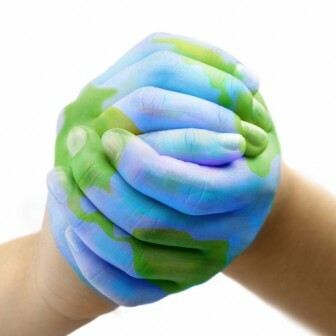 I see more and more people reaching for a personal and global values shift. I see more and more need for a connection to the kind of harmony that comes from the inside out. I look forward to learning from you and with you and to sharing opportunities for empowerment of ourselves and others. I’d love to ask: What’s been your biggest teachable moment so far? Sarah is a specialized educator, emotional intelligence expert and creativity based life coach. Her website is www.3CWorks.com.